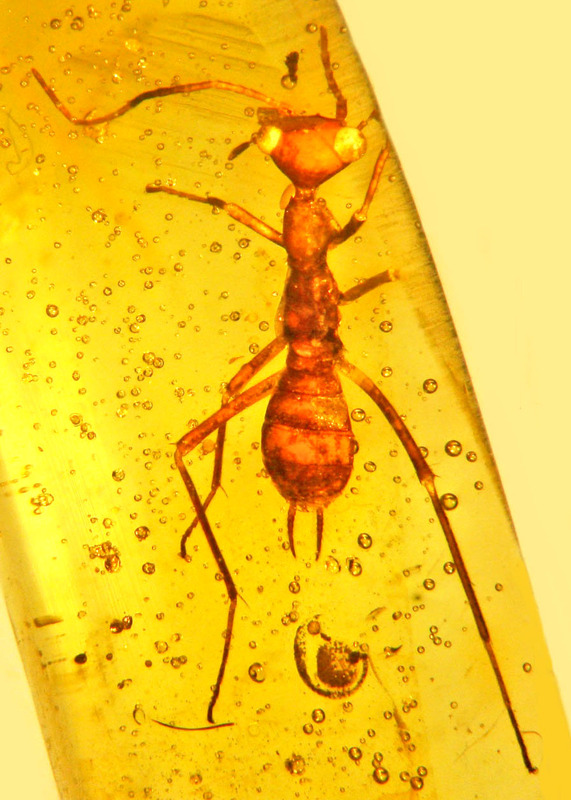 Researchers at Oregon State University have discovered a 100-million-year-old insect preserved in amber with a triangular head, almost-alien and "E.T.-like" appearance and features so unusual that it has been placed in its own scientific "order" - an incredibly rare event. There are about 1 million described species of insects, and millions more still to be discovered, but every species of insect on Earth has been placed in only 31 existing orders. Now there's one more. The findings have been published in the journal Cretaceous Research and describe this small, wingless female insect that probably lived in fissures in the bark of trees, looking for mites, worms or fungi to feed on while dinosaurs lumbered nearby. It was tiny, but scary looking.